« G25 Review Coming Soon! There are a few reasons you might want a serial port on your router. Maybe you're a firmware hacker, or maybe you're running a bleeding edge version of OpenWRT, or maybe you just want to watch the beastie boot up. Regardless of your reasons, here's how you do it. 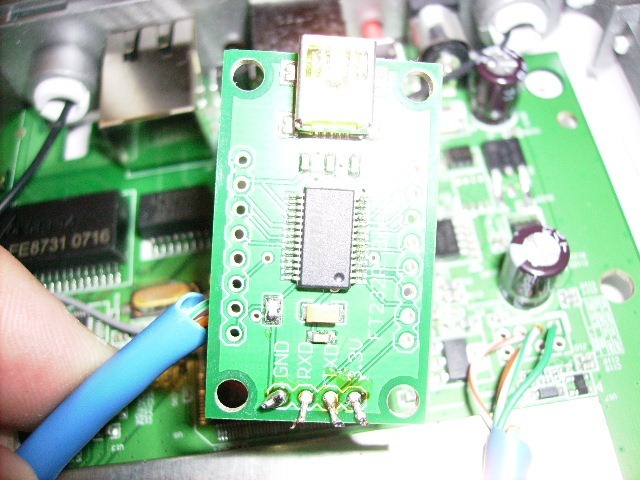 First, you'll need a 3.3v serial to USB converter. This is VERY important. 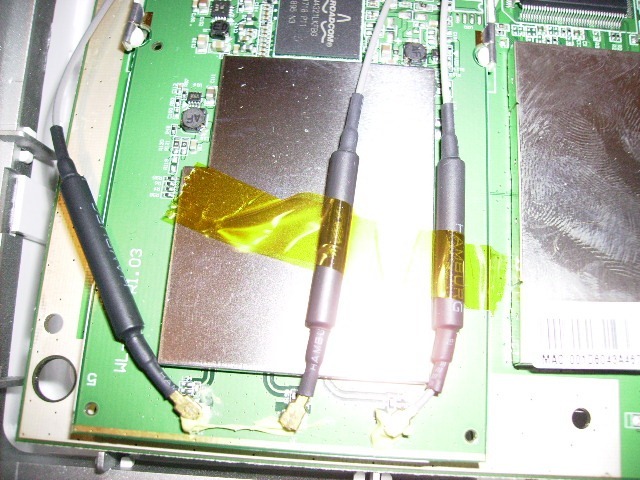 If you just solder on a serial port to the router's motherboard you will fry it as soon as you plug it in to your PC. PC serial ports output 5v, and the router can only handle 3.3v. Since you already need a voltage converter, you may as well get one that also converts to USB. 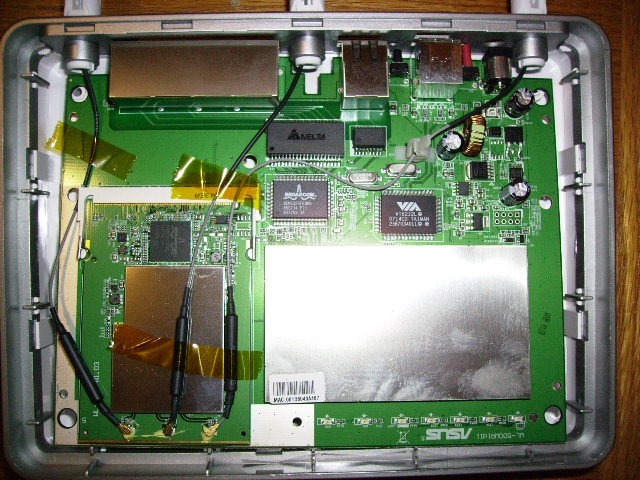 Unplug the antenna leads, and pull the main router board out of the casing. Solder some leads (I used some wires from an old ethernet cable I had laying around) from the Pololu to the motherboard serial points. 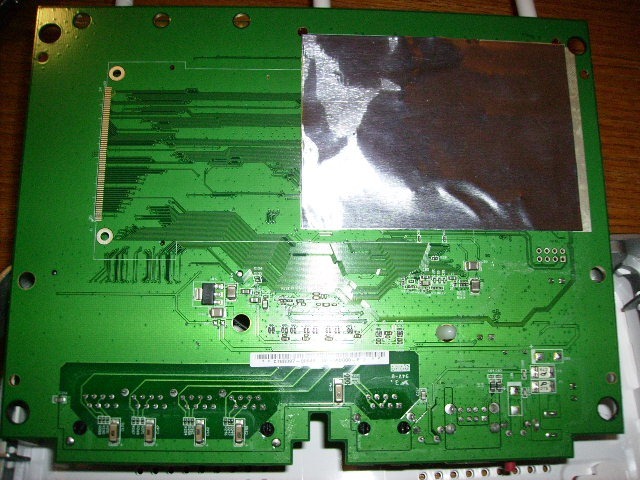 I found it easiest to put the wires thru from the top, and solder on the back. Plug the Antenna back in, replace the router's motherboard in to the housing, cut a hole for the cable, and close it up. Hit enter, and enjoy your new console!